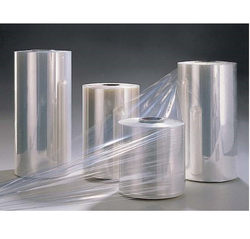 We offer a range of high quality packaging materials like Shrink Films, Stretch Films, Strapping Rolls, Cling Films, Skin Films, Vacuum Skin Packaging Films and similar products. 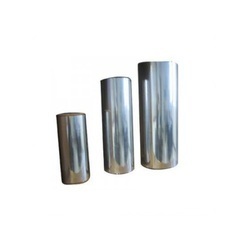 These packaging materials are manufactured using high quality material and are widely used for various packaging purpose. Applications For wrapping foods such as vegetable, fruit, meat, biscuit, etc. We are offering high quality Cling Films. Applications : For wrapping foods such as vegetable, fruit, meat, biscuit, etc. Meeting the non-toxic requirements of FDA and JHP, applicable to food wrapping. High rate O2 and CO2 transmission and excellent moisture retention. Fog-repellent and able to break up water drops to maintain good clarity. Cold-resistant and keeping soft even under refrigeration. Suitable for both hand and mechanic wrapping due to adequate adhesiveness and elongation. Durapak Stretch Films are 5 layer cast films imparting excellent film properties like high Puncture Resistance, Elongation, Uniform thickness, high Dart Impact strength and good clarity. I. Protection from moisture, dirt abrasion : Stretch film protects against these elements, safeguarding the goods it wraps. II. Reliable performances The security associated and with the holding performance, load retention and protection is readily evident. III. Scan-through optics The superior appearance and clarity of cast stretch film enables codes to be quickly scanned and read while protecting labels and codes printed underneath the film. IV. 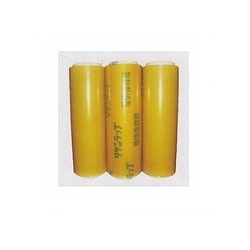 Ease of removal Cast stretch film only clings to itself and not surface; it does not produce clinging noise, thus making its removal fast, safe, clean and easy. We are offering high quality vacuum skin packaging films that are eco-friendly, top self adhesive, best transparency, suitable for packing all products especially the food and seafood. High transparency, more eye appeal. High elongation to conform to the contours of product intimately. Excellent impact strength to protect from crude transport and handling. Lower processing temperature to save energy and enhance efficiency. No harmful fumes emit while packaging. Adhesive self-contained, no need to coat board. Secure adhesion onto the backing paper board. Resistance to oil and grease. Products of all sizes and shapes can be packaged. All films have passed ROHS certification. All kinds of standard sizes and dimension available in stock. Special sizes and gauges can be customized upon request. We are a leading supplier of specialty plastic films for worldwide markets, are proud to serve the world with our advanced line of high performance, cost-effective, multilayer polyolefin Shrink Films. We have embarked upon an ambitious plan to deliver a wide range of shrink packaging films to fit all applications. Odd-shaped applications requiring high shrinkage or excellent machine ability on high-speed machinery. Multi-purpose applications with high clarity and gloss. Various optional possibilities, such as perforation, etc. Ultra Thin B30 30 gauge High performance ultra thin shrink film, ultimate in source reduction and reduced carbon footprint. Standard Multi-purpose BE 13-15-19-25 Strong shrink force center folded film with optimized perforation for controlled shrinkage, ideal for multipacking applications. 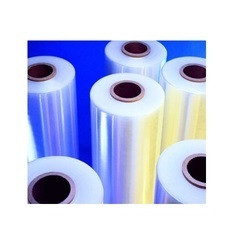 Standard High Speed BX 50-60-75-100 gauge High shrink force film with excellent stiffness and flatness, making it ideal for multipacking and high speed applications. High Performance BY 50-60-75-100 gauge A 5-layer shrink film that seals and shrinks at lower temperatures with high free shrink for maximum retail presentation. Tough and Versatile BZ 50-60-75-100 gauge Cross-linked shrink film with enhanced toughness and a broad operating window suitable for a broad range of applications. BFF 60 gauge Cross-linked shrink film with high performance antifog properties that deliver superior gloss and clarity. High Efficiency BHE 44 gauge Enriched formulation resulting in a low temperature shrink film with the highest available free shrink. Low Gauge BLG 45 gauge Cross-linked technology in a low gauge shrink film that combines material savings and abuse resistance. Soft Shrink BRX 45-50-60-75 gauge Cross-linked for abuse resistance, a low force shrink film with high free shrink designed for wrapping soft and irregularly shaped items. Oxo-bio Degradable BYO 45-60 gauge World's first oxo-biodegradable shrink film with exceptional sealing and shrinkage properties. Our range of skin films is eco-friendly, self adhesive, best transparency, no need coated glue on the cardboard. Optimize the packaging processes, save packaging cost. PP Strap Made of 100% pure and environmental friendly PP raw material, our range of PP strappings are durable and have high tensile strength. Its high functional utility coupled with its feature of easy compatibility with auto strapping and semi-automatic machine has made it a popular item in the market. To meet the varied packaging needs of our diverse customers we are making available high quality and durable packaging straps that can be used effectively for versatile packaging purposes. It is offered in different colors, lengths and widths as per the specification of the customer. The range of fully automatic strapping rolls that we offer are as per the requirements of the customer. It is available in different lengths and sizes according to the customers demands. 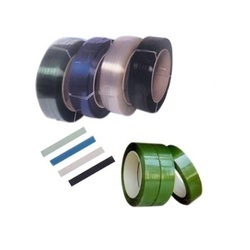 These strappings are suitable for on-line strapping of boxes, unitized packs, cartons and other allied products. 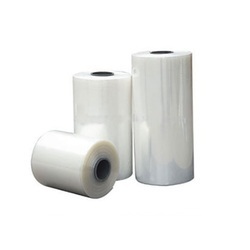 We are also offering our clients with the provision of printed strapping rolls that are as per their requirement. The customized printing of logos and trademarks in desirable color combination gives an added benefit of required publicity to our customers.